This post was written two days ago. Since the remoter parts of the Aegean do not always provide internet access, it can only be posted today, while our cruise has continued onwards to Nisyros. The brilliant morning sunlight allows some scattered clouds to cast their shadows on a deeply blue Aegean sea. A light breeze promises to balance out the rising heat. On the horizon, the outlines of distant islands are floating in and out of sight. Closer, and thus very visible, are the three islands we are travelling between: Santorini, whence we departed early this morning, Anafi, which we merely observe while passing by, and Astypalaia, where we shall arrive later today. 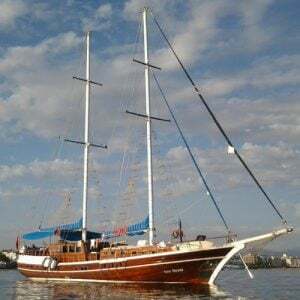 It is the second week of our two-week “Cruising to the Cyclades” trip, an epic voyage through the Dodecanese and Cycladic islands of Greece that we introduced in 2012. Throughout the last ten days, we (myself and Nota, my fellow tour leader) have had the privilege to show a group of interested and increasingly enthused guests around seven different islands, three more are to follow. Today’s two islands could not be more different from one another. Santorini is a well-known spectacular, world-famous and well-frequented, the image of its whitewashed houses clustered along the rim of the enormous volcanic caldera gracing book-covers, websites and advertisement posters around the globe. Along with the Parthenon, it has become a global icon of Greece. In summer, it is buzzing with activity, since over recent decades it has become a major destination for droves of cruise-liners, as well as tens of thousands of individual visitors every day. Astypalaia is a place apart. Hardly anyone outside Greece knows its name and there is nothing global about that small island and its modest but profound beauty. With no daily ferryboat and only occasional flights, the island is a haven of serenity and peace, a refuge far away from the hustle and bustle of modern mass tourism, to be explored and savoured at leisure. Of course, being Greek islands, both contain important and fascinating archaeological and historical remains, ranging from mysterious and distant prehistory to the rich heritage of more recent eras. Santorini’s key site is of course Akrotiri, the Bronze Age city destroyed and thus preserved by the mega-eruption of the Santorini volcano in the late 17th century BC. Walking among its lanes and squares between 3600-year old houses preserved to the third floor is an amazing experience. 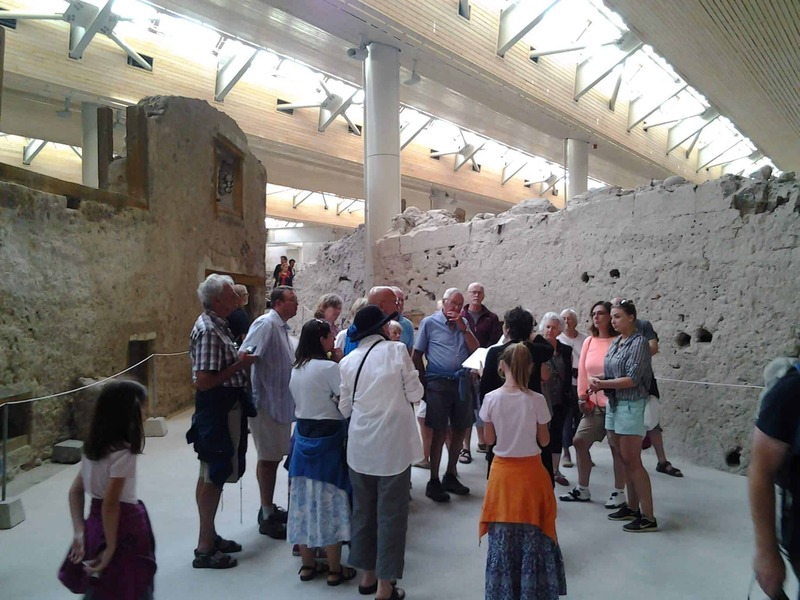 What makes Akrotiri a world class site is its conjunction with two excellent museums presenting the rich array of stupendously beautiful artefacts from the site and its broad range of evocative wall paintings. Astypalaia’s major attraction is the Chora, the island capital, a typical Greek island village of cubic houses clustered in an unbelievably picturesque peninsular hilltop setting and crowned by a 15th century Venetian castle. On the top, one is surrounded by some of the finest views in the entire Mediterranean, taking in the vast blueness of the sea and a whole panorama of islands on the horizon. Smaller archaeological sites are scattered around the country. Both islands also feature off-boat meals for our little group. In Santorini, we savoured the island’s best known products, fava (a puree of yellow split peas), capers, cherry tomatoes and the famous Santorini wines, at a range of truly gourmet restaurants. 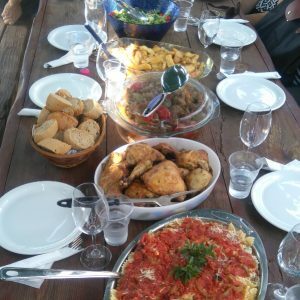 On Astypalaia, we will have a meal of kakavia (a traditional Greek fish soup) and fresh fish in an authentic harbourside tavern. 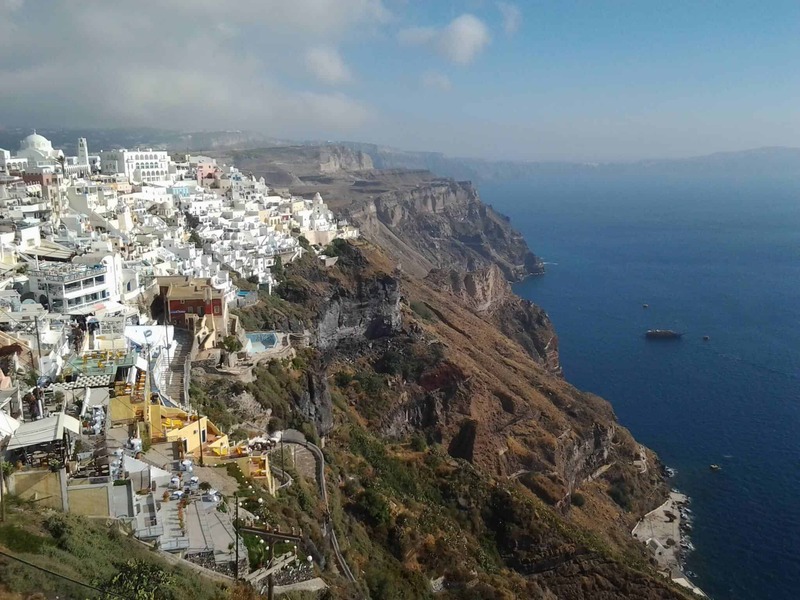 In many ways, the contrast between these two islands, Santorini in the Cyclades and Astypalaia in the Dodecanese, embodies much of the personality of the Greek islands, and thus of our cruise among them. Although they all share elements in spirit and tradition, to some extent also in architecture and landscape, each island has its own distinctive character, its own unique atmosphere and its own story to tell. 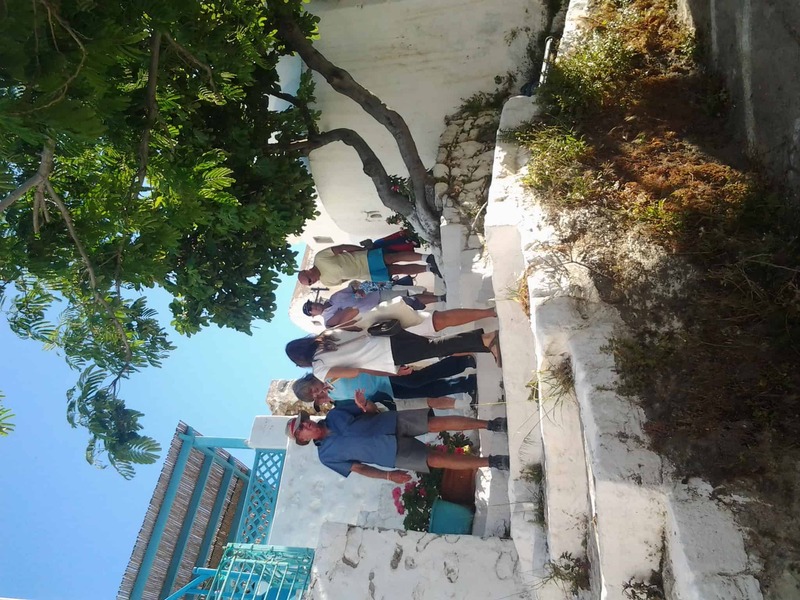 Of course, that applies not only to Santorini and Astypalaia, today’s islands, but also to all the others we have visited and are still going to visit throughout this tour. Each of them, Kos with its light-hearted harbour town, peaceful Pserimos, lofty Kalymnos and Leros with its unusual history, splendid Amorgos and friendly Naxos, and finally Nisyros with its volcanic history, has its own character and story, its own fascination for us to share with our guests. Alternating between well-frequented islands with famous names like Santorini or Kos, and off-the beaten track ones such as Pserimos or Astypalaia, travel in the Aegean islands offers a never-ending panorama of different perspectives – both visually and culturally – to explore, and moreover to enjoy. So, you should really come and see the islands. One way to do so is our “Cruising to the Cyclades” tour – dates just announced for spring 2014! 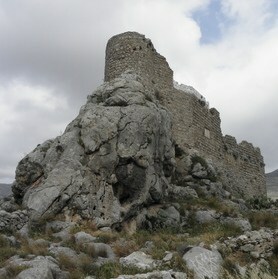 – or this autumn on our wonderful Cruising the Dodecanese tour.